Franz von Mendelssohn’s early career – graduation from the French secondary school, military service with the Hussars, law school, and judicial service at the Berlin Kammergericht –gives no indication that he will become one of the most important private bankers and business leaders in Germany in the first third of the 20th century. This role is intended instead for his older brother Robert, who thus undergoes commercial training in Germany and abroad. 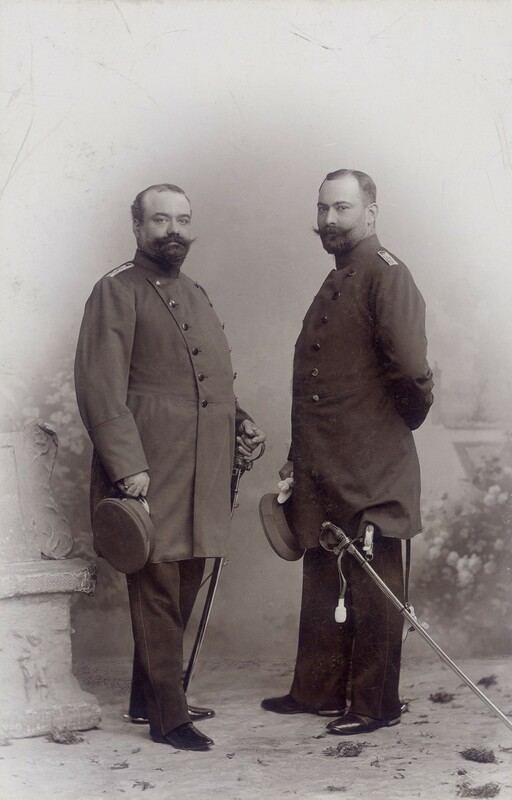 In 1889, however, after the death of his father, Franz joins the family business at his brother’s request, becoming a partner in 1892. Ten years later, in 1902, he is elected to the executive board of the newly founded Berlin Chamber of Commerce. From then on, one executive position follows the other. Franz’ competence and conciliatory manner make him ideally suited for functions of this kind and, according to Reich Chancellor and Reichsbank President Hans Luther, gave him the presence of a “born chairman.” Also invaluable is the fact that Franz von Mendelssohn sides unconditionally with the young Weimar Republic after WWI and the revolution of 1918, helping to ward off internal attacks by extremists on the Left and Right, as well as external threats such as the assertion of territorial claims by Poland. 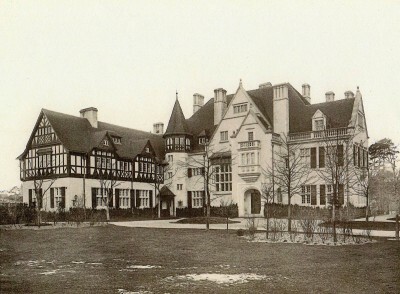 The Landhaus Mendelssohn in the Grunewald villa district. Egon Hessling: Die Villencolonie Grunewald, Series II, Plate 64. At the same time, Franz manages to steer the Mendelssohn Bank through the upheavals of 1917/18. One of his best decisions in this context is to make the extremely capable Rudolf Löb a partner in the firm. As a Prokurist (officer of the company vested with full commercial power of attorney), Löb takes charge of the bulk of the banking business together with Mendelssohn's son-in-law Paul Kempner. In 1921, Franz von Mendelssohn is elected President of the Association of German Chambers of Commerce. In 1931, he becomes President of the Conference of the International Chambers of Commerce, the first and thus far only German to earn this distinction. 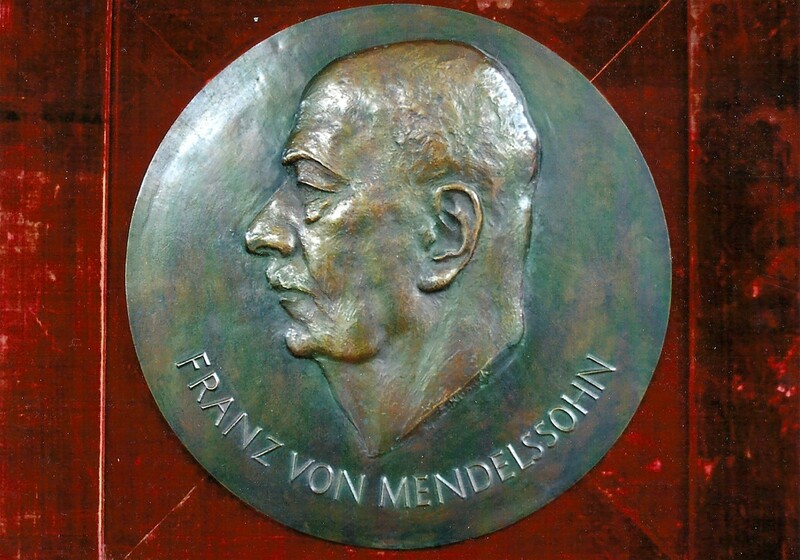 The Franz von Mendelssohn Medal issued by the Association of German Chambers of Commerce. Fritz Klimsch, 1931. Image: Mendelssohn-Gesellschaft. 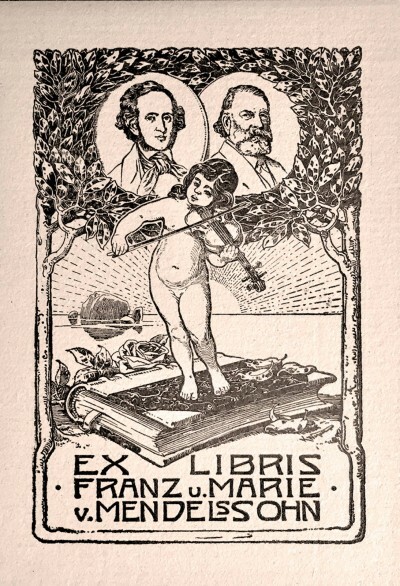 The ex libris label used by Franz and Marie von Mendelssohn, featuring the portraits of the family friend Joseph Joachim (right) and of Felix Mendelssohn Bartholdy. Image: private collection. While the hyperinflation of the early 1920s is raging, Franz von Mendelssohn uses his skills and contacts to save the fortunes of a number of charitable organizations of which he is the treasurer. A prime example of this is the Kaiser Wilhelm Society for the Advancement of Science, today's Max Planck Society, whose finances he oversees from the organization’s founding in 1911 until his death. Franz von Mendelssohn is also an active aficionado and patron of the arts and culture in general. He himself is a collector of modern paintings and, despite his enormous workload, also manages to become an excellent and passionate player of the violin. Despite his Christian faith – Franz is a patron of the Protestant congregation of Grunewald – he never loses his connection to his Jewish ancestors. This is borne out by his membership in various Jewish associations, such as the Hilfsverein für jüdische Studierende, a benevolent association for Jewish students. He is also an active sponsor of the 200th birthday jubilee held in 1929 in honor of his great-grandfather Moses Mendelssohn, during which time he works closely with the Jewish Community in Dessau to set up the Moses Mendelssohn Foundation for the Humanities. The foundation goes on to support worthy scholars regardless of their religion, including Jewish ones like the philosopher Herbert Marcuse. 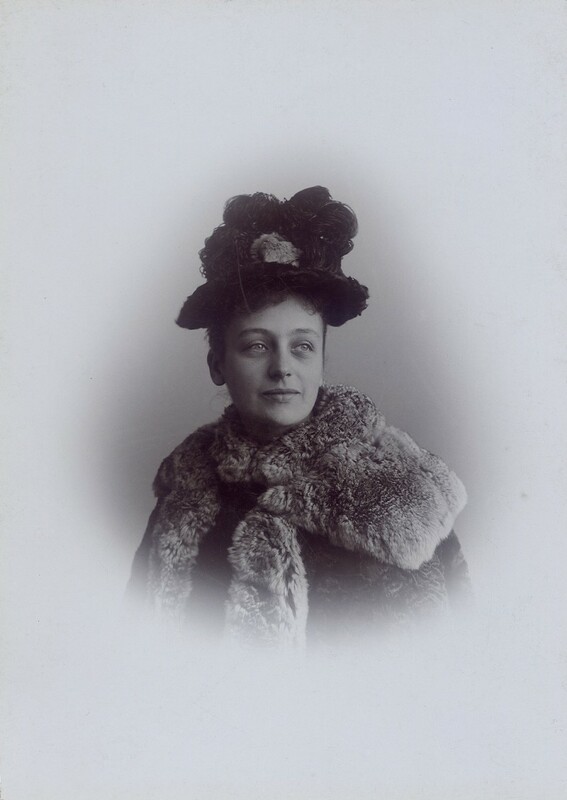 Marie, née Westphal, wife and cousin of Franz von Mendelssohn in 1894. Image: private collection. In 1931/32, Franz von Mendelssohn is forced to resign from most of his official functions for reasons of ill health but is still elected Honorary President of the Chamber of Commerce. This does not keep his successor from disinviting him from a reception at the last minute after Hitler, in power since January 1933, indicates his intention to attend. Franz von Mendelssohn dies in 1935, three months before the passage of the Nuremberg race laws, after a long and serious illness. His death is an opportunity for his many relatives, friends, and political associates to pay one last public tribute of respect to the Mendelssohns, with their values and traditions, before the family and its bank are rent asunder by the Nazis.